In Code-First approach you create the entity classes only. 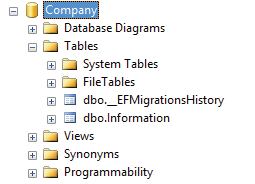 Then with migration commands the EF Core creates the database based on these entity classes. To understand how the Code-First approach works. 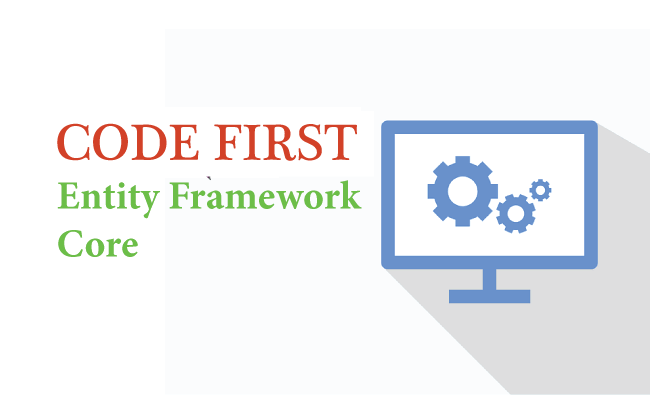 First create a new ASP.NET Core project and Install Entity Framework Core on it. 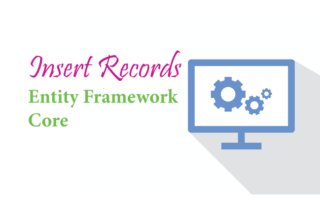 In this project I will be dealing with a Company application that contains information about its employees, departments, etc. Create a class Information.cs inside the Models folder. It will contain information about the company like company id, name, license, year of establishment and yearly revenue. 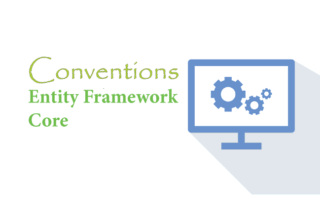 Next create a Context class and name it CompanyContext.cs. Place it inside the Models folder. 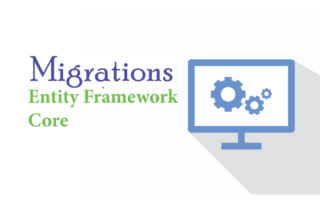 With Migration you can create the database based on the Entity & Context classes. Inside the OnConfiguring() method, I have provided the connection string for the database. Here in this case the database name is company. 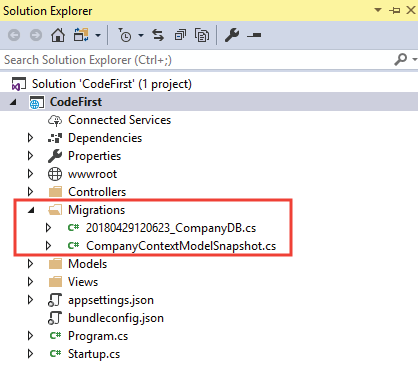 The command will create Migrations folder on your project. 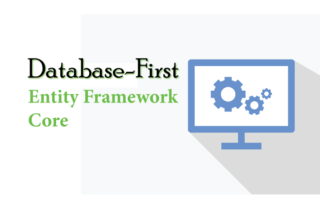 The command will execute and will create the Company database which you can open and see on your SQL Server. Now that my database is ready, let me insert a record on the Information table. Add the following code on a Index Action of your Controller. Once the Action is called, the code will execute, and a new record is added to the Information table. You can see the new record on the SQL Server.